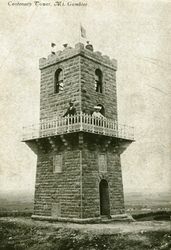 The Centenary Tower commemorates the naming and the European discovery of Mount Gambier by Lieutenant James Grant in December 1800. Grant undertook the first eastwards passage along the southern coast of Australia in the HMS Lady Nelson. 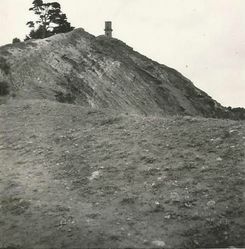 Although he did not chart South Australia’s coastline, he sighted and named Gambier’s Mountain (Mount Gambier) from the deck of his ship. 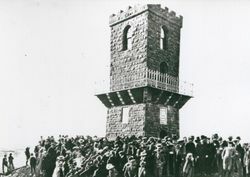 The Mayor (Dr. C. C. McDonald) has received a telegram from Sir Samuel Way, consenting to perform the opening ceremony of the Centenary Tower on the top of Mount Gambier on April 27. His Excellency the Governor was invited to declare the tower open but the date would not fit in with his previous engagements. At a meeting of the committee this evening some details in connection with the opening ceremony were decided upon, and it was resolved to hold a social in the Institute Hall in the evening. The telescope has arrived, but it is not yet in possession of the committee. 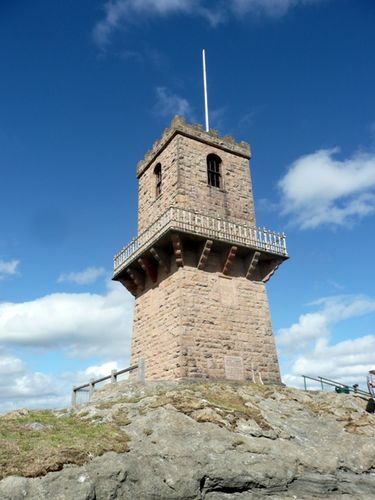 The Mayor has procured a visitors' book for the tower, and a flagstaff is to be erected. Chronicle (Adelaide), 23 April 1904. In commemoration of the discovery and naming of Mount Gambier on December 3rd 1800 by Lieutenant Grant. R.N. commanding H.M.S. Lady Nelson. Foundation Stone, laid by the Lieut-Governor the Right Honourable Sir Samuel James way, Bart Chief Justice of South Australia on December 3rd 1900. This plaque commemorates the Centenary of the official opening of Centenary Tower held on 27th April 1904. His Worship the Mayor, Mt Steve Perryman, unveiled this plaque on 27th April 2004 to note this historic occasion. This tablet was unveiled by His Excellency the Governor of S.A. Lt. Gen Sir Willoughby Forrie, K.C.M.G., C.B., D.S.O., M.C. on December 3rd 1950. To mark the 150th anniversary of the sighting and naming of Mount Gambier by Lieut. Grant, R.N. from the "Lady Nelson"
In commemoration of the sighting and naming of Mount Gambier on December 3rd 1800 by Lt. James Grant R.N. commanding H.M.S. Lady Nelson and the refurbishment of the tower in the year 2000.